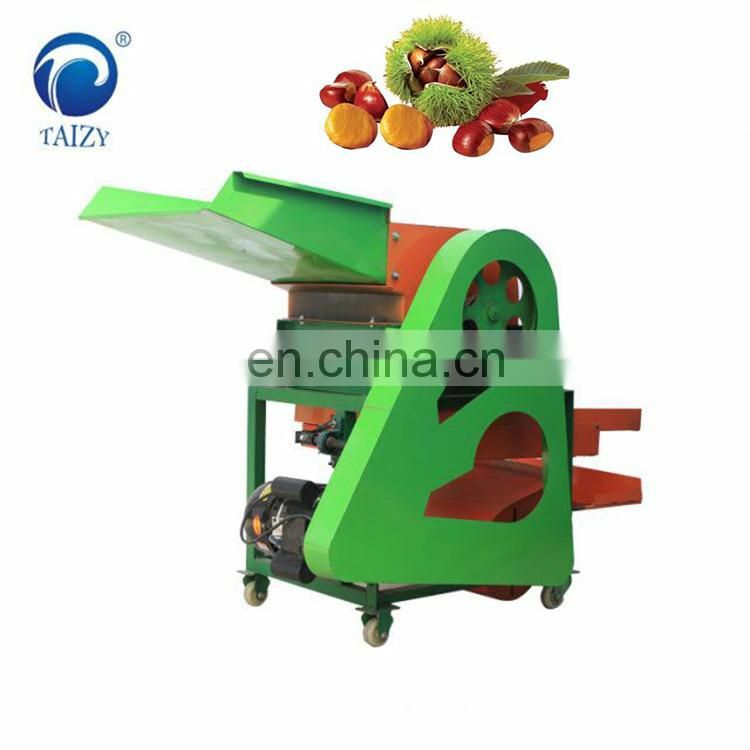 The horizontal chestnut detaching machine is powered by a single-phase motor, which drives the chestnut shelling rotor to rotate clockwise. 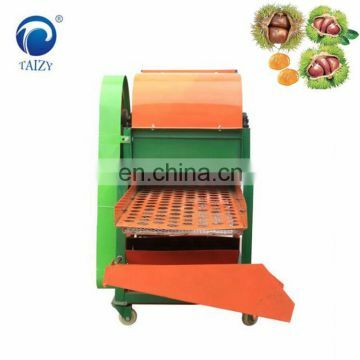 When the chestnut file is fed from the feeding hopper, it is broken by multiple collisions between the rotor hammer and the stator, and falls into the sieve body to shake up and down. 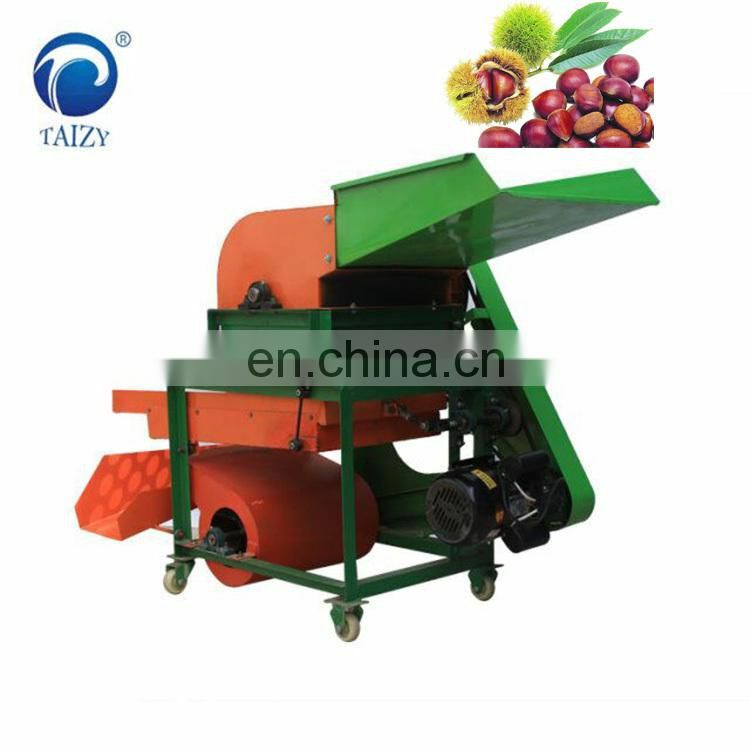 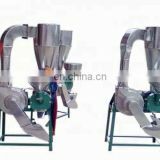 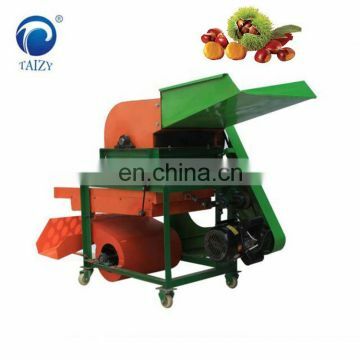 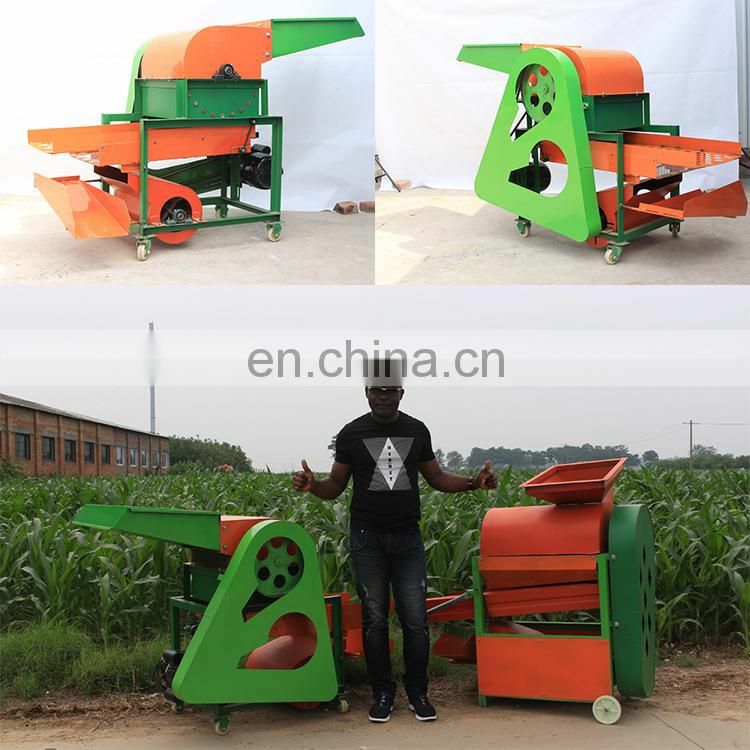 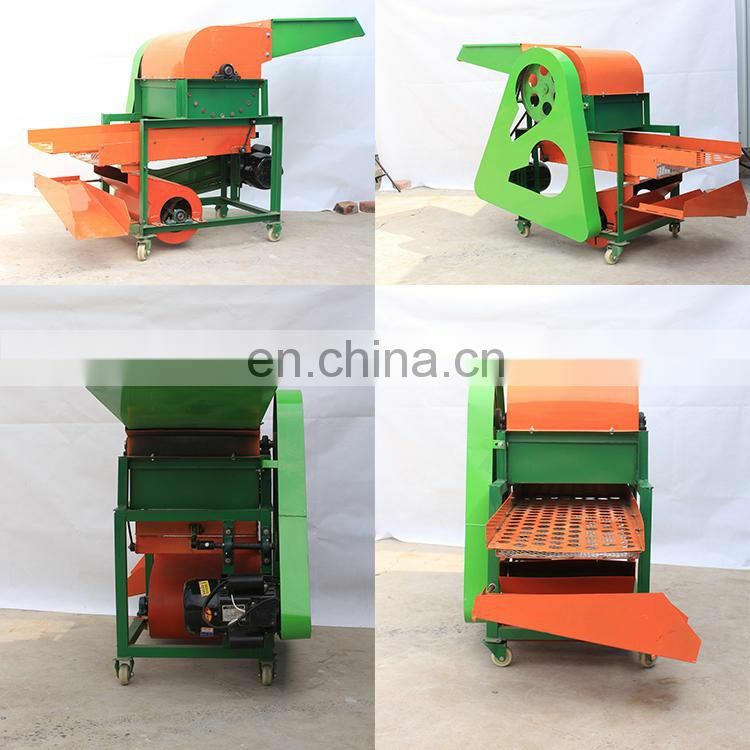 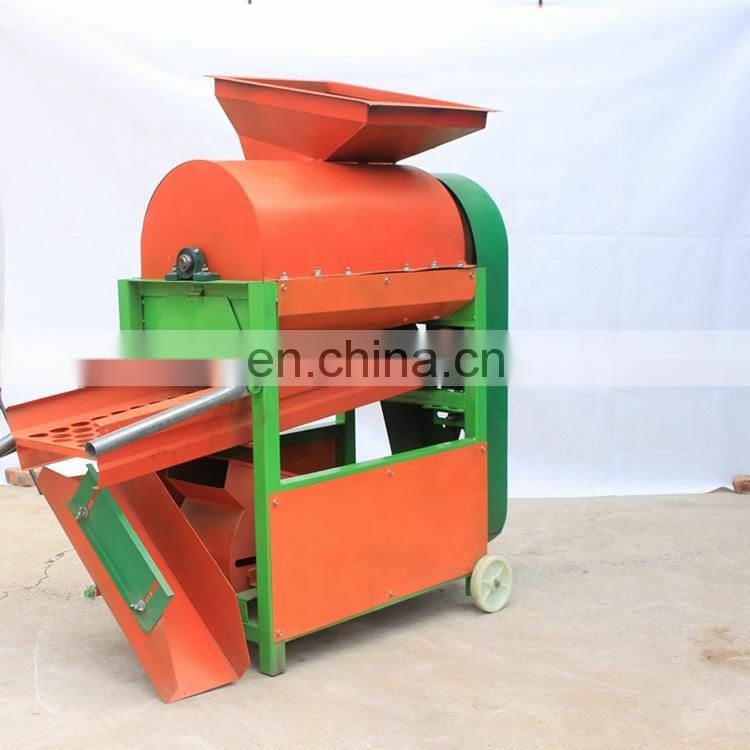 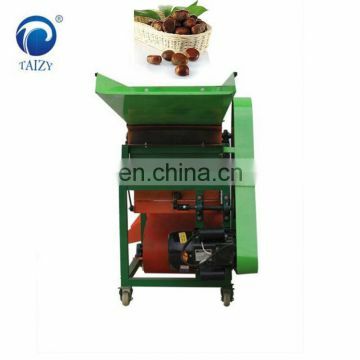 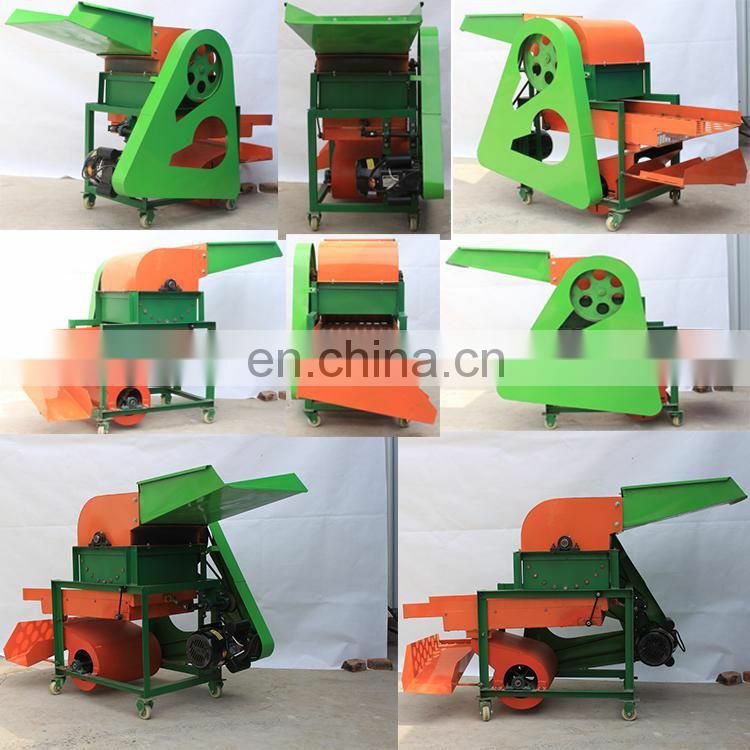 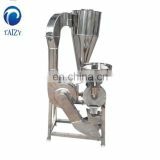 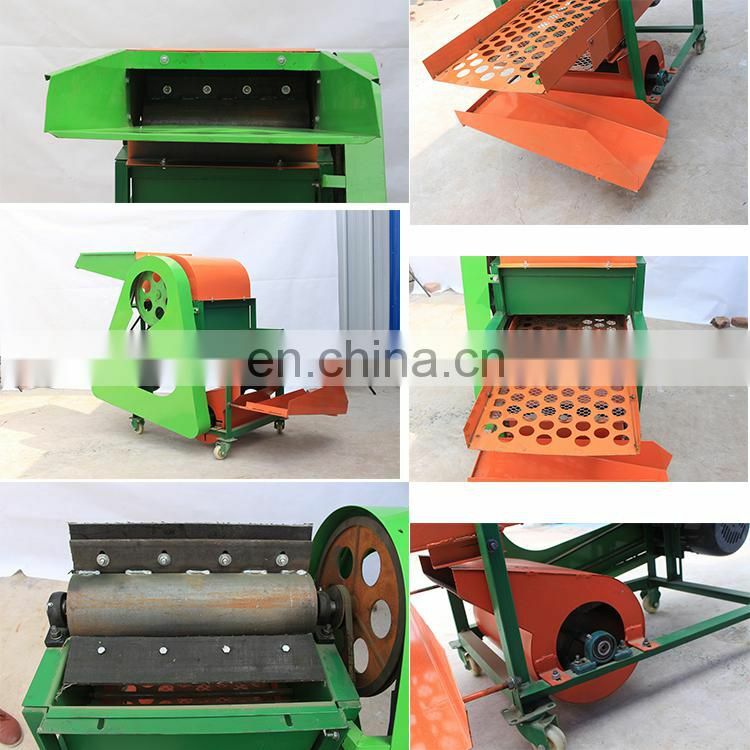 The chestnut shelling machine separates the clam shell, chestnut and debris, and then flows out from the three discharge ports to achieve the purpose of sorting and collecting. 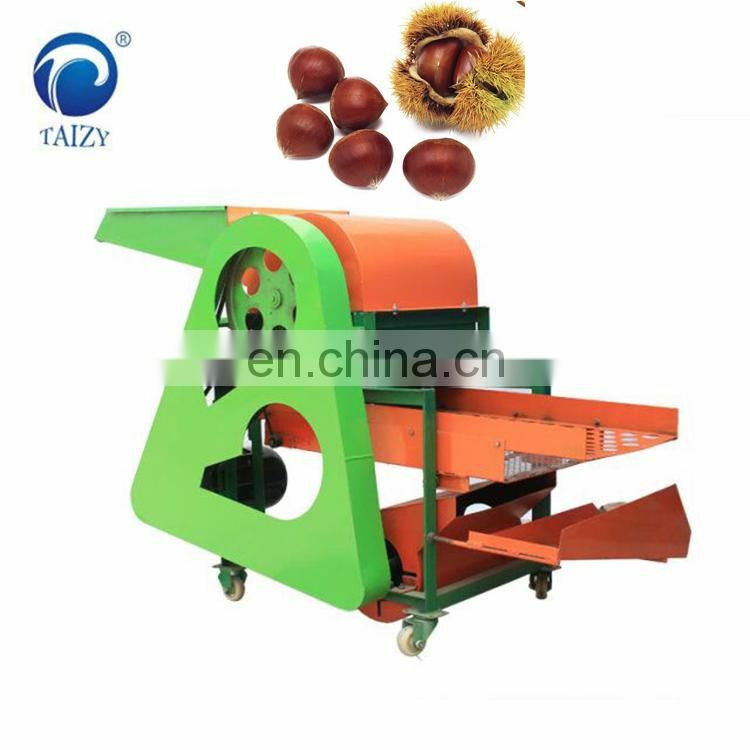 The chestnut detaching machine has the characteristics of small size, light weight, easy installation, high removal rate and low loss. 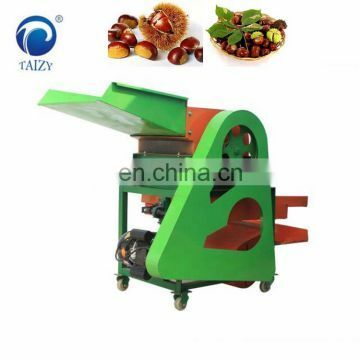 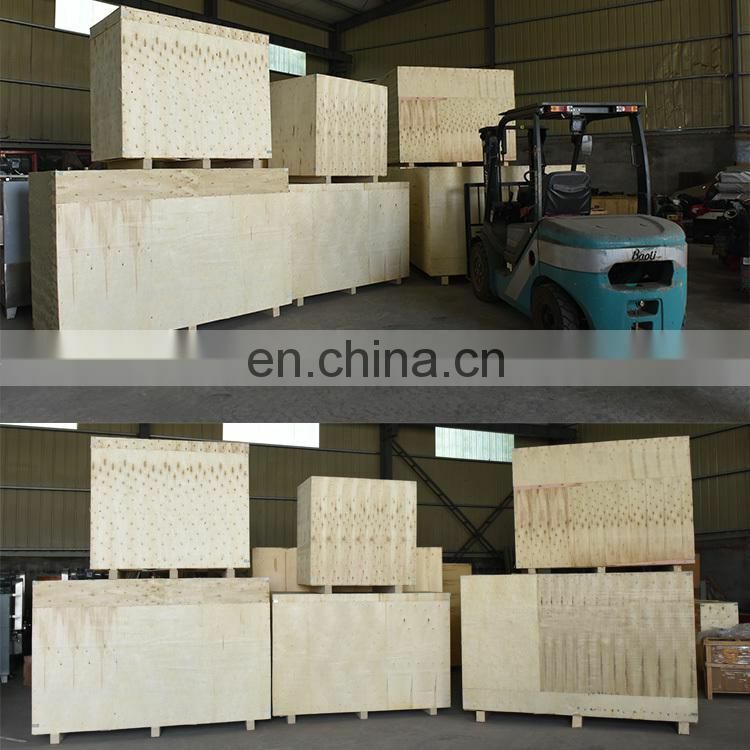 1, high efficiency, can handle 500-600kg chestnut per hour. 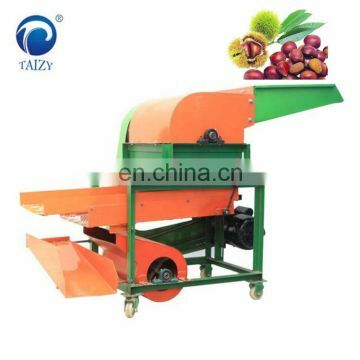 2, does not damage the chestnut rice, peeled out the chestnut rice unchanged color, no scratches, shiny. 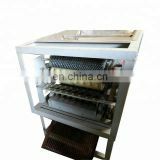 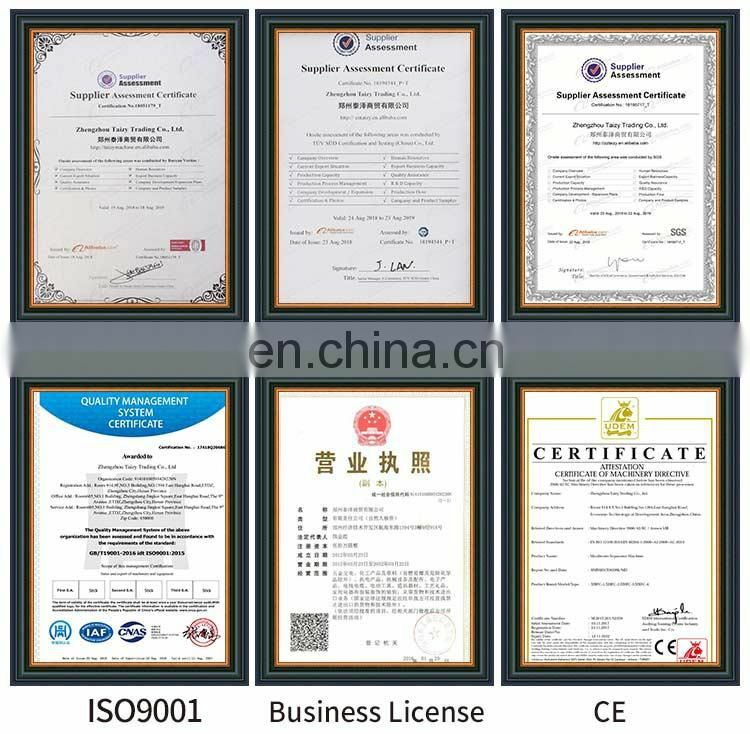 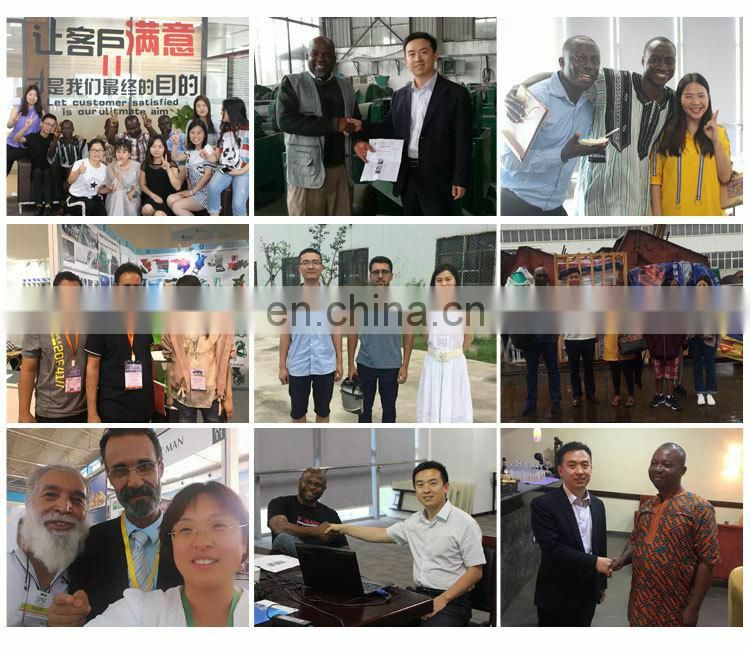 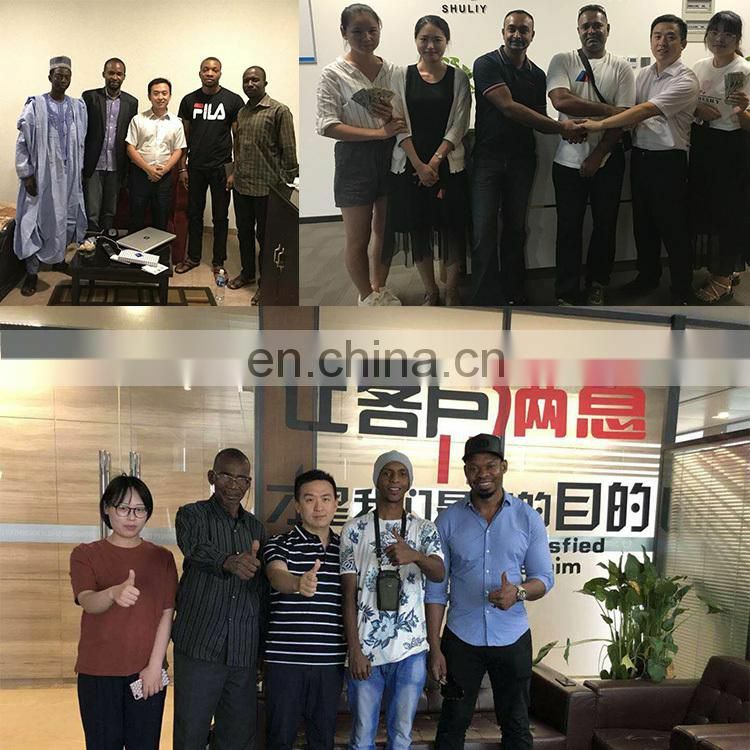 3, the wind selection effect is good, the design of the reasonable vibration screen and fan, clean, avoid the trouble of secondary screening. 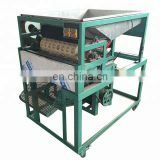 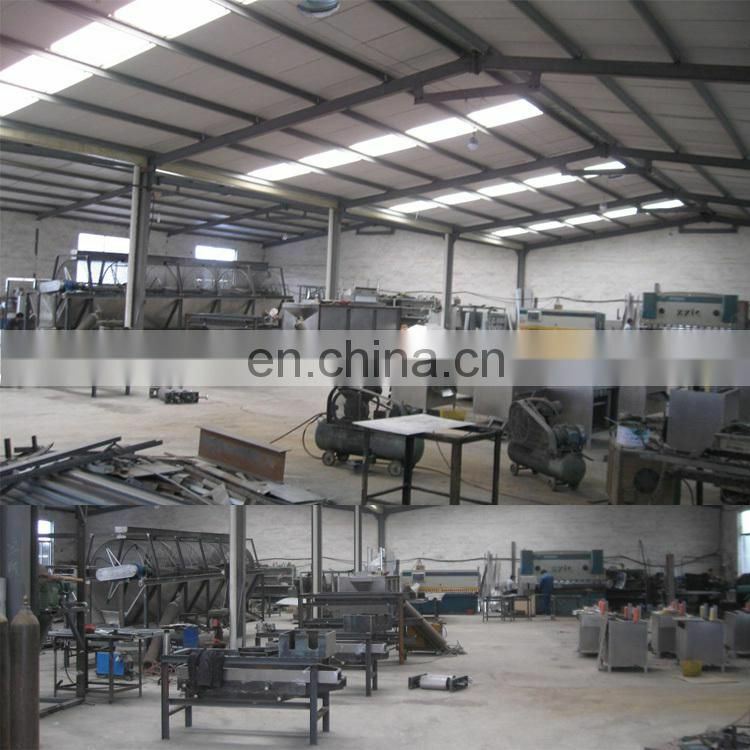 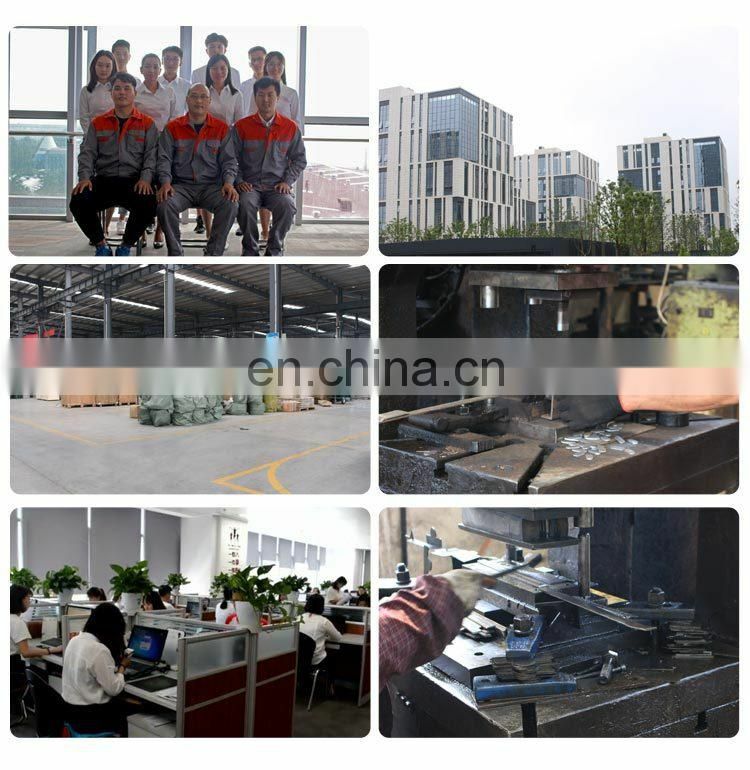 4, work well, unified use of painted panels, the machine is beautiful.